Turbomolecular pumps are found in every semiconductor fab, the vast majority of helium leak detectors and research laboratories. Yet most never give them much thought, one simply roughs out the vacuum chamber and spin them up. In a few minutes, your chamber is in the high vacuum range. Today I want to introduce to you the working principles of these pumps. First is a video that shows how a Pfeiffer HiPace 2300 moves gas molecules from the chamber to the exhaust port of the turbomolecular pump. As you watch gas flow through the pump in the video, get the idea that the pumping principle is to increase the probability that the gas molecules will be impelled by the rotor (the spinning blades) into the stator (stationary) blades towards higher concentrations of gas. Pumping is achieved by directing the gas molecules from the low pressure inlet to the higher pressure exhaust port. Turbomolecular pumps do not have liquid or contact seals. The rotor blades are typically spinning a few tenths of a millimeter from the envelop of the pump and the rotor shaft is a few tents of a millimeter from the stator blades. These gaps are necessary for the operation of the pump, however they do allow a small fraction of the gas to backstream (flow backwards, if you will) through the pump. This is one of the reasons that turbomolecular pumps must have a mechanical pump providing a rough vacuum pressure on the exhaust port. In other words, the turbomolecular pump cannot provide sufficient compression to move gas to atmospheric pressures and they need to be “backed” by a roughing pump. The video below was produced by Agilent. It shows how a typical turbomolecular pump is built. I hope this gives you some basic understandings of turbomolecular pumps. 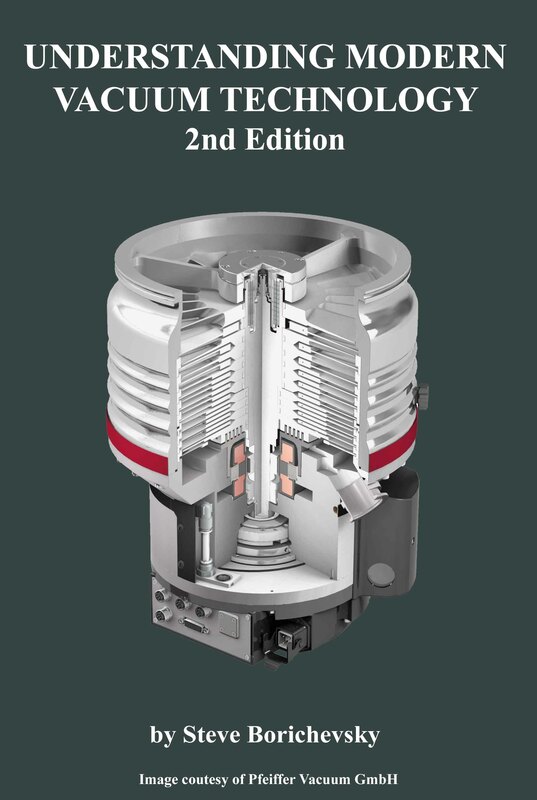 Understanding Modern Vacuum Technology has a section devoted to turbomolecular pumps. It covers the development of the pumping principles, the operation and safety considerations when implementing turbomolecular pumps. UMVT is available for $59 at Amazon.com. You will find information UMVT that is not available in any other book to date.